← Where Are Black Americans in Lincoln? About Hadiya Pendleton: Hadiya Pendleton (1997-2013) was a 15-year old King College Prep High School sophomore in Chicago, Illinois. She was a band majorette and popular honors student. 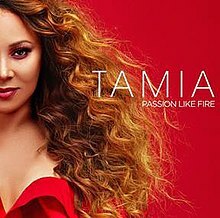 She performed with her band at President Barack Obama’s 2013 re-election festivities in Washington, D.C. Ms. Pendleton’s dreams included attending Northwestern University to become a pharmacist and journalist. She is survived by her mother Cleopatra Crowley, her father Nate “Anthony” Pendleton, and her little brother Nathaniel Pendleton. I grew up in America’s Midwestern state of Illinois like Hadiya Pendleton, albeit in a smaller place. If not for the park, then my hardworking blue-collar family may not have been able to trick me to believe we were, somehow, rich. Near our home, there is the poignantly and appropriately-named “Bird’s Park”— where the inhabitants of our rural Illinois farming and factory town can take their children to enjoy paddle boat rides that brought our fingertips within a hair’s reach of squawking ducks. The park has a semblance of quarry where I raked and burned many a backside sliding down to the bottom of, to sully my feet in the warm, wet sand on the Kankakee River and to chew stalks of wild sweet grass with my sisters. My parents always stayed above us, preferring the shade while absorbed in friendly chess games. At night, the lightning bugs appeared along with the thirsty mosquitoes, but we always delayed packing up to go home. There were other parks, closer to our side of town where the residents were primarily black. Each year, annual festivals were held with imported pony rides, basketball tournaments and an official soundstage to show off the best of the town’s talent and community programs. It was one of the few times that my elder relatives hung out at our thing too, with coolers for beer and picnic blankets. But, these serene rituals ended. In the mid-nineties, shortly before I left for college, a killing spree commenced in our town due to heightened gang activity that had its origins in the Chicago and national drug trade. Suddenly, a town that had only been mentioned on the news for its weather became a frequent subject in terms of peculiar violence. Any suggestion of going to a local festival or park barbecue was following by jokes that ceased to be funny: “Well, don’t get shot,” or “Put your bullet-proof vest on under your dress.” I was sixteen, and unafraid. In my mind, I was not going to let people I did not know and some I did inhibit my adventures. The world was mine, and I was going to change it. This is the mentality our communities’ daughters inherit by nature of knowing us. Only now, as two decades have passed, a new generation of young women can not afford the brazen attitude I was once allowed. Nowhere is this more apparent than in the city of Chicago, which was once a tourist mecca selected to host the 1893 World’s Columbian Exposition (Chicago World’s Fair). Now, it is a warzone. 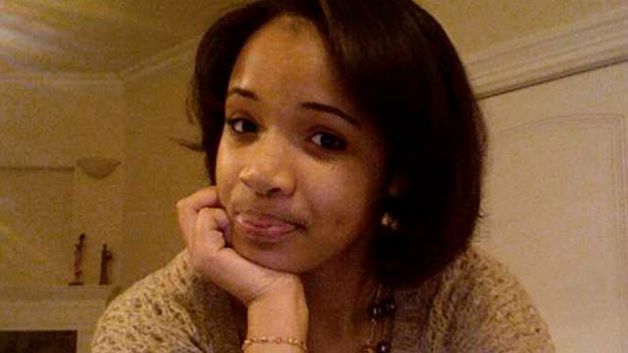 On January 29, 2013, less than 10 days after she was a beaming majorette in service and homage to our first Black President’s second Inauguration in Washington, D.C., local Chicago high school student Hadiya Pendleton was dead. The events, well-known locally and a little bit nationally, read like a horror story or an apocalyptic fable or a crude cartoon. King College Prep High School was dismissed for the day. A group of friends rambled home. A rainstorm began. They laughed to the nearest shelter— a park house cover in Vivian G. Harsh park (the park is named for Chicago’s first Black librarian and notable publishing archivist). A man appeared out of nowhere. He jumped the fence to the park. He had a gun. He shot into their group. He ran away. A young Black boy lay bleeding from a gunshot to the leg. Ms. Pendleton was critically wounded in her back. She died an hour later at a local hospital. I, too, was like Hadiya Pendleton. When I was near her age, I journeyed to New York City to speak of volatile race relations in our school district. It was nationally televised, and even a few dear friends from the Klu Klux Klan appeared as surprise guests to discount the effects of white supremacy on low black achievement. I returned to my swarm of friends with the mind I had found my calling— to speak on race through writing and voice, to go live in New York City one day, to maybe attend Columbia University, and to stretch my wings beyond my neighborhood block that appeared microscopic now compared to how it looked when I had departed for my first plane ride. I had many friends. Our gatherings after school in safe hoards threatened our after-school curfews. They were our displays of burgeoning independence, self-selection and virgin freedom. What kind of world do we live in today so that my simple fraternity with youth my own age could have been my death sentence 20 years ago, so that I would not be at a computer now typing these words that scream for peace? A $40,000 reward remains for information that leads to apprehension of Hadiya’s shooter. It is unclaimed. Today, $40,000 (a comfortable yearly salary in working class communities) is a high cost to pay for the rest of one’s life if there is retaliation to informants. Speculation utters that the shooting was part of a gang initiation (new members are required to kill an innocent person to prove their street “cred”). Speculation hints that the shooter may have mistaken the crowd for a gang due to its number and location on an inconspicuous gang territory, a version of the misinterpreted societal profiling that led to the assassination of Trayvon Martin one year ago. But since there is no one to answer for this crime, there is no one to give a motive or interrupt what confounds all about it. If not for our playgrounds, parks, high school stadiums, local community centers, where are we supposed to cultivate the youth who will be our caretakers in the future through their tax dollars and their innovations? What ground do we stake out for them to enjoy the horizon with thoughts that race forward to how they will spend their long lives, as opposed to anxieties from behind that tell them to watch their backs? How do we reclaim the once-vibrant psyches of a generation of youngsters now forced into morbid considerations and fears typically reserved for the elderly? There is a vegetable garden in my neighborhood, cultivated by the local homeowners committed to nutrition and fresh produce. A few blocks away, there is a park. It sits oddly abandoned most days—until young men who are rumored to harass and rob passerby collect when school lets out, or early in the night. When I babysat for a toddler near there, the mother warned me against going to that park. She instead directed me to one a near half-mile away, within grounds of my old university campus. Although there is both a public elementary and middle school within walking distance of the garden, the home owners are all involved in hectic lotteries, interviews, waiting lists and tuition payments to insure that their children never enter them. The young children of the neighborhood already compete like graduate students for the select few spots in regional private schools. Their parents are that afraid of what might happen to their children at school. Once this land was newly free Black Americans’ new garden to overturn soil bloodied at our expenses, to fertilize it anew with the lives, fulfilled dreams and replenished hopes of new generations. Now, we succumb to shipping children to schools far from where they live and leaving the Internet to report our latest slaughters. We have grown just as numb and callous as the shooters who take down innocent children everyday. If we do not pick up signs to march or pens to write, then we may as well pick up guns to shoot too. **Since the time of this writing, two young men have come forward in relation to Ms. Pendleton’s murder, and criminal proceedings are currently underway in Chicago. When First Lady Michelle Obama attended the young teen’s funeral, Ms. Pendleton’s story came to prominent national attention. President Obama invited her parents to his State of the Union address. Her surviving parents are currently at the forefront of the national debate for gun regulation. Maybe the world has not changed much, my Dear Kalisha! By that I mean, not being much of a student of History, who knows what was happening among the Babylonians, Assyrians and the Mongols? But if the history of the Hebrews is any indication, then it Would seem that the world has not changed much, except in the Amount of Blood and Tears shed. In India We are experiencing what seems like an Excessive Fear of commenting on politics. Take, for instance, my post on the BBCI and the Judiciary. This showed a Shocked Silence, with No reported views from my Friends, and when it did start trickling in, they were all from Abroad. Of late one or two Indians have joined in. Though am not sure if they have ‘read’ my article! Haha. So a Tight grip on the Citizens from the side of the govt! But India also has a sad habit of ‘learning’ from the West, albeit 10 years later, in most cases. Hope the accursed ‘gun culture’ is not picked up here too. Love to Hadiya’s Parents, as to You. Regards. Thank You, my Dear Kalisha! Very kind of You. …You are a Great Fighter too!